With the Camp and Woolsey fires in California on the verge of being put out, and the shocking loss of thousands of homes, 80+ lives and hundreds still missing settling in, people are looking for answers as they try to understand how a tragedy such as this can be prevented in the future. But not the Republicans. They are cynically using these tragedies to push ahead with their agenda to increase logging on public lands before they lose control of the House next year! During the last remaining weeks of the congressional session, their first attempt to gut environmental laws and accelerate the logging and clearcutting of our nation’s forests comes in the form of the Forestry Title of the 2018 Farm Bill. 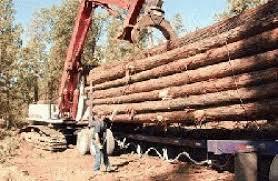 The only issue holding up passage of this bill is Republican’s logging provisions. Congressional leaders including Senate Minority Leader Charles E. Schumer and House Minority Leader Nancy Pelosi are meeting with Republican leadership to discuss the issue as we speak. We need our Democratic leaders to RESIST any attempt to eliminate environmental protections and add logging provisions to the Farm Bill, and we need you to call them to let them know, as we explain below, this is such a dangerous and misguided idea. We find it deeply troubling that Trump and his administration would demand less environmental protections and more logging as a way to curb fires when studies have shown it simply doesn’t work. In the most comprehensive scientific analysis conducted on the issue of forest management and fire intensity — which looked at more than 1,500 fires on tens of millions of acres across the Western United States over three decades — Bradley, et. al. 2017 found that forests with the fewest environmental protections and the most logging actually burn more intensely, not less. This may seem counterintuitive, but logging reduces the cooling shade of the forest canopy, which creates hotter and drier conditions, removes the trunks of mature trees eliminating nature’s wind buffer and replaces native vegetation with invasive grasses and logging slash that are quick to ignite and quicken the rate at which a fire will spread. The 2018 House Farm Bill Forestry title would rollback federal environmental laws on public lands to allow logging to proceed without assessing environmental impacts, involving the public or protecting endangered species. The partisan Republican House Farm Bill is a focused attack on our public lands and bedrock environmental laws that protect the benefits, beauty, ecosystems, endangered species, and recreation that our public forests provide. Republican’s Forestry Title uses falsehoods, hyperbolic rhetoric and scientifically unsupported assertions in an attempt to support Republican’s agenda to increase logging and line the pockets of their timber industry contributors. But to be clear the projects they are proposing to exempt from the Endangered Species Act (ESA) and the National Environmental Policy Act (NEPA) are anything but benign. More logging will only make things worse, for people, communities, forests, wildlife and the planet. We need Democrats to hold firm and to not make a deal that includes any provisions of the House Farm Bill Forestry Title, or rolls back environmental laws or accelerates logging on public lands in any way! The way forward is to protect communities from wildland fire through a purposeful and concerted focus on the communities themselves. We must help the residents living near fire-dependent wildlands make their homes fire-safe. Our public forest lands are not “crops” or “fuels”, they are ecosystems which provide, among other things, clean water, clean air, and habitat for native species. These forests are also one of nature’s best carbon storage and sequestration systems on the planet. In fact, protection of public forestlands from logging is essential to mitigate the effects of climate change and arrest global temperature rise so that we can continue to grow food and feed the people of America. Let’s protect people and forests and the planet. Please CALL Democratic leadership and your own U.S. Representatives and Senators (or tag them on Social Media) TODAY and ask them to Vote Against any Farm Bill that includes the House Forestry provisions or a logging compromise. There is no time to waste – Please Reach out TODAY!